Awhile back, Amazon removed [easyazon_link identifier=”B008K6HN8I” locale=”US” tag=”arizonacaorg-20″]ES File Explorer[/easyazon_link] from the default view in the [easyazon_link identifier=”B01DFTCV90″ locale=”US” tag=”arizonacaorg-20″]Amazon Fire TV[/easyazon_link] app store. Many people, including myself, thought ES File Explorer was no longer easily installable on the FireTV & Firestick. But alas! We can still install ES File Explorer on Fire TV without sideloading anything. Read on. 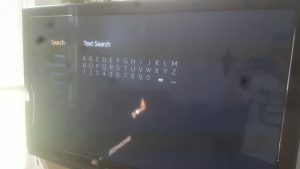 Search for “es file” by entering it in the on-screen keyboard. In the results, select the ES File Explorer app. 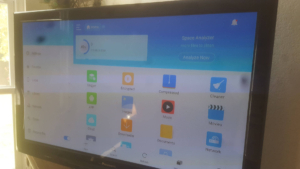 Select Download to download and install ES File Explorer on your [easyazon_link identifier=”B00XNQECFM” locale=”US” tag=”arizonacaorg-20″]Fire TV[/easyazon_link]. Once it’s installed, hit Open to launch ES File Explorer on your Firestick / FireTV. That’s all, folks! Q: What Do I Do After Installing ES File Explorer Without Sideloading? Use ES File Explorer to download and install APK files for awesome apps like Kodi, Kodi’s Ares Wizard, Emulators, ROMs, and literally any downloadable file. 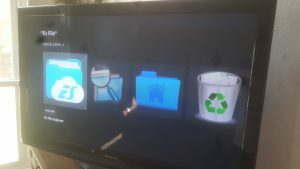 Use ES File Explorer to link your [easyazon_link identifier=”B00IEG0JOY” locale=”US” tag=”arizonacaorg-20″]Cloud storage drive[/easyazon_link] to your FireTV, so you can access your Dropbox / OneDrive files on your Fire TV (including ROMs, Emulators, and HD movies!). 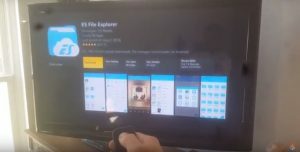 If you want to install ES File Explorer another way (or if the method above didn’t work for you), then try installing ES File Explorer by sideloading it to your Fire TV. Use our handy-dandy video tutorial to sideload ES File Explorer to your FireTV. You can “sideload” ES File Explorer to your Fire TV using Android, iOS devices, or even a [easyazon_link identifier=”B01HNBLHAA” locale=”US” tag=”arizonacaorg-20″]PC[/easyazon_link] (see further below). See the steps below to sideload ES File Explorer using Android. For iOS devices like [easyazon_link identifier=”B00WZR5ULU” locale=”US” tag=”arizonacaorg-20″]iPhone[/easyazon_link] and [easyazon_link identifier=”B00OTWOAAQ” locale=”US” tag=”arizonacaorg-20″]iPad[/easyazon_link], the process is slightly different, but essentially the same (the “sideloader” app is $1.99 and you have to manually download the Kodi APK file – all this is covered in my iOS video on KFireTV). On the Android phone / tablet, also install ES File Explorer from the Google Play Store (Free). To get the FireTV IP address, go to SYSTEM, ABOUT, NETWORK using your FireTV / Firestick remote. In the box that pops up, click INSTALL. Wait about a minute for ES File Explorer to install on your [easyazon_link identifier=”B00ZVJAF9G” locale=”US” tag=”arizonacaorg-20″]Firestick[/easyazon_link] and BOOM – you’re done! Launch ES File Explorer by going to the Home screen, then APPS, then find the ES File Explorer app icon, select it and hit Launch or Open. Installing ES File Explorer on your Firestick with a [easyazon_link identifier=”B011B9E928″ locale=”US” tag=”arizonacaorg-20″]PC[/easyazon_link] is easy, if you’re somewhat PC-literate. 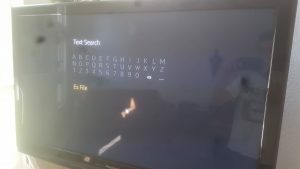 There you have it – the easiest way to install ES File Explorer on FireTV. Be sure to check out Kodi, the Ares Wizard, the Config Wizard, some great classic Emulators, and some killer old ROMs to play on your Emulators.